Stay fashion forward with the exact Pantone emerald color: Pantone 17-5641 for your iPhone 5. Available in Bloomingdales and Urban Outfitters stores now, you can buy it online for $34.95 on pantone.com. A wintry shade of emerald for an in-style pop of color now, try the Case-Mate barely there case for the iPhone 5 in emerald green ($30 on case-mate.com) available on amazon.com for $29.47. A bright emerald case is also available for the iPhone 4 for $25 on amazon.com and case-mate.com . Wireless Solutions makes an emerald green case for the BlackBerry 9550 that retails for $5.70 on amazon.com . LifeProof makes a green case for the iPhone 4/4S ($69.99 on lifeproof.com), available on amazon.com for $35.16. Not quite emerald, but you can go green with elago's sea foam case for the Samsung Galaxy S III, available on amazon.com for $8.99. Belkin mixes emerald green and marine blue for a fresh iPhone 5 case, available on amazon.com and belkin.com for $29.99. Incipio makes an emerald green case for the iPhone 3G/3GS ($12.49 on incipio.com) that sells for $11.98 on amazon.com . 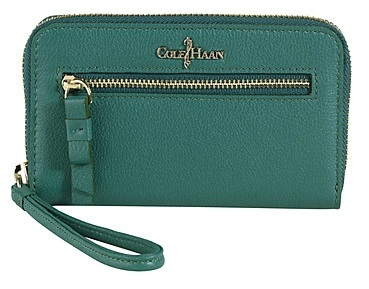 The Cole Haan emerald wristlet mixes fashion with functionality, holding a phone plus three cards, available on lordandtaylor.com for $78. There’s a Nook HD+ cover and stand in emerald for $44.95 on barnesandnoble.com and a houndstooth Nook HD cover for $29.95 on barnesandnoble.com. 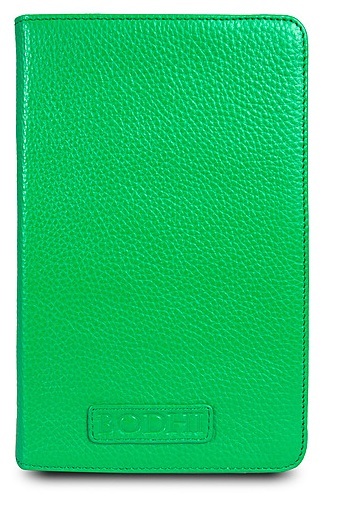 The Big Buddha emerald green envelope tablet case sells at lordandtaylor.com for $65. An iPad swivel case by Lodis available at nordstrom.com now for $98.